It's Friday night, 6:30 p.m. and you need something quick and fabulous for some unexpected guests. 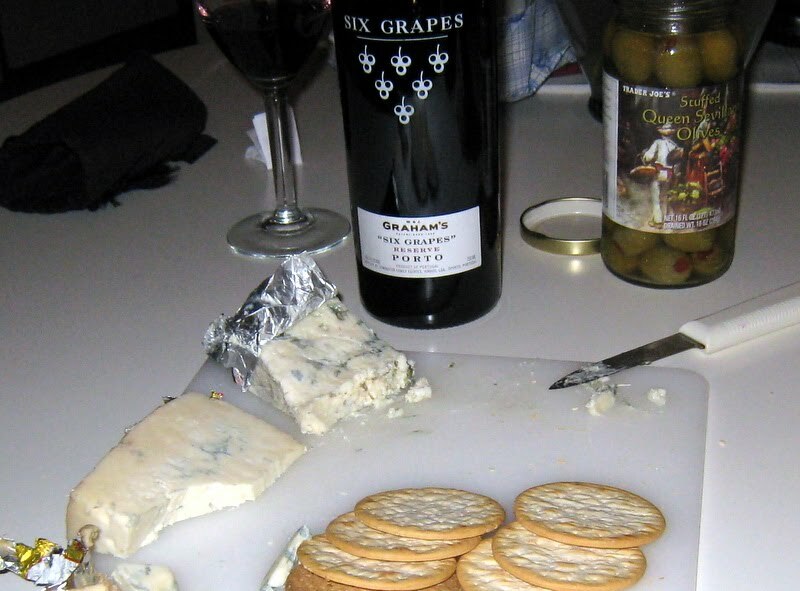 A cheese platter and some pepper crackers or french bread is often the right answer, but what makes it just right? One of the things I like most about cheese is that there is something for everyone, and your cheese platter should be crafted with this in mind. 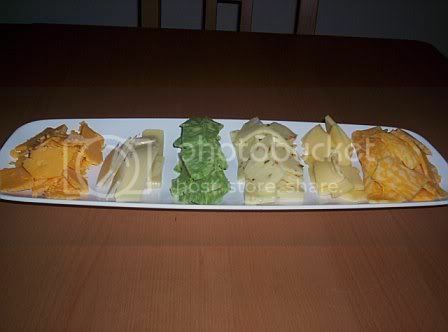 I'm a fan of color variety, with just enough unusual cheese choices to make your guests go "Ooh" but also a balance of traditional favorites. I presented this platter last week for my Midwestern and culinary cautious in-laws, aiming for cheese that wouldn't scare them too badly. Had my guests been more adventurous, I would have included mustard gouda (preferably with red wax still on for some added color), garlic cheddar and some pungent blue cheese crumbles. But I was very satisfied with myself because the Sage cheese was so delicious. Eastern Market in DC suffered from a major fire in April but is back in a temporary location with a vengeance. That morning I'd been perusing the fresh pasta when a woman slapped a slice of green cheese in my hand. Its color offended a few, but it was so tasty - with the creaminess of blue cheese and a texture like colby. Divine! I was recently reading Tristan Jones’ Saga of a Wayward Sailor detailing his adventure after coming free of the arctic ice. There’s an outstanding tale of making passage through the dutch canals and meeting Dirk Van Scheltema, a warehouse security guard. They hit it off and Dirk offers to return to the boat with cheese for Tristan. True to his word he returns with 200 Edam cheeses (stolen). When he attempts to depart for France the extra weight of all the cheeses has sunk his ship into the mud. Instead of jettisoning the cheese, he chooses to heave his non-functioning engine overboard, removing enough weight to free him. In the next chapter, he reaches France and ends up trading much of the cheese for a brand new engine. And actually I just found an excerpt on Google books: http://tinyurl.com/ypjsqj It’s a quick and entertaining read. Anyone know of other cheese references in literature?? I know it may be unorthodox to comment on a cheese without having everyone partake, but hopefully Fromage du Mois-heads will forgive me as a new member. I had the most fabulous cheese the other night and I just had to share. At first I thought it was called Uniekaas, because that's the name that was on the label. But actually that is the name of a the Dutch cheese company that makes it. Parrano was "created" 12 years ago by Uniekaas, which tries to market the cheese like it's Italian, even though it is actually made in Holland. 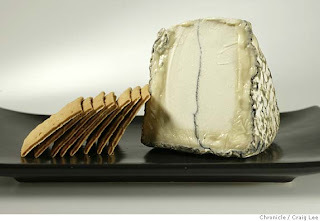 It's a type of gouda - creamy in taste, combining the right salty flavor and a pungent almost blue cheese-style strength. But it's the consistency - hard and crumbly, almost like parmesean - that's perfect. As you can tell from my name, I'm partial to Greek cheeses, but I may have a new favorite. We tried it with a simple panne bello loaf of bread and some light pepper-flavored table crackers. Delicious! And just for fun, check out this cheese-loving dude I found. As F.D.M. readers have guessed by lack of entries, there has been a hiatus in the world of amateur cheese-blogging. As lives tend to go, so do blogs, it seems; they ebb and flow with the normal tides of everyday emotions and motivations. Alas. I think I speak for all of our contributors and readers when I say,"It is all Ok."
The reality is that there is a natural order of things in this world. 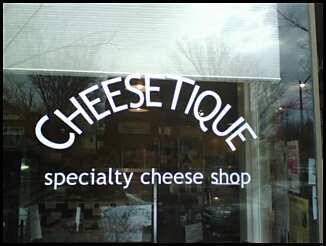 And it is on this trajectory that our feelings and desires evolved and gave birth to Fromage-du-Mois. It was organic and beautiful. And the spirit is still alive and strong! With unquenchable collective innovation, I have taken the liberty to display an artisitc rendition of our Fromage-du-Mois letters on this post. (c)2007. Our latest cheese selection comes from our ex-pat correspondent and British Isle cheese expert: Fontina Turner. 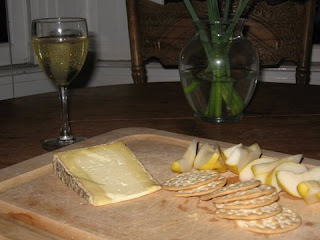 This cheese hales from Wales, near the mouth of the Severn river. Caerphilly is a raw cow's milk fromage that matures extremely quickly (just three weeks or less). 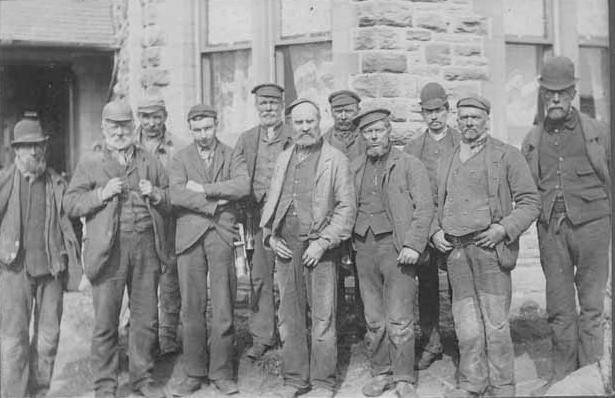 During the 19th century it was hugely popular with Welsh miners. It has a high salt content and is rumored to absorb inhaled toxins from the mines. A common miner lunch was Caerphilly wrapped up in cabbage leaves. Beige on the inside, gray on the outside, it also features a natural rind. You should always purchase Caerphilly directly from a wheel, not pre-sliced, so as to prevent excessive dryness. It will also dry up quickly on you, so never keep it on hand for more than a week. Caerphilly is great example of the global struggle against processed cheeses. Although considered a pedestrian cheese, after a brief stint of mass production and bastardization of the name, it is now possible to get authentic Caerphilly from many smaller producers in Wales. This fromage should be available at finer cheese shops. Humboldt County, California, is known for a bunch of things in the U.S., including an absoultely gorgeous surrounding outdoor playground and, of course, Chinese exploration in the late 1880s. But, lately, it has gained prominence for its growing number of dairy farmers who have earned some national reputations for making outstanding cheeses. Begin the tasting dialogue below! Parmesan is relatively low in fat content and should be yellowish white in color. According to Jenkins, there are few American producers worth tasting, but it's safe to say that Jenkins has not tasted Charlie White's recent entry. The 2% milk for Charlie's cheese comes from the finest, grass-fed cattle in Ohio and was pasteurized just prior to cheesemaking. 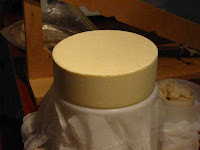 Once pressed, the cheese is salted in brine solution for 24 hours before aging 10 months. Read on for the tasting comments! Perhaps it’s best that we keep the penicillium roqueforti on the back burner until we get some basics down, no? 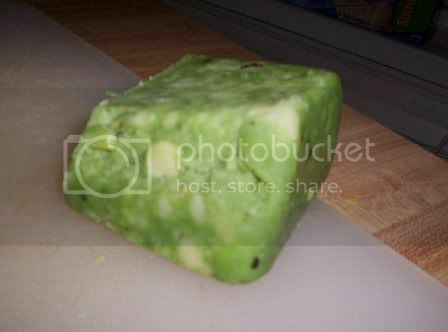 We’re dealing with the second most popular cheese in France, a raw sheep’s milk, stinky, salty, green mess of goodness. With such money on the line the “appellation d’orgine contrôlée" is of course in full swing, though lest you think that Roquefort is an invention of shrewd late 20th century marketing, Charles VI accorded the inhabitants of Roquefort a monopoly on the unique production process in 1411, and Pliny the Elder seems to have had some kind words for a cheese bearing a striking resemblance to our current stinky subject. The trick is to drop some specially made rye bread into a cave in the south of France, leave it there for six to eight weeks, and then harvest the mold. Fresh white cheese is brought into the “cave,” the aforementioned penicillium spores are released into the air (rather than directly into the cheese, so that the fermentation happens evenly), and the tell-tale green ashy flakes start showing up in a few weeks. 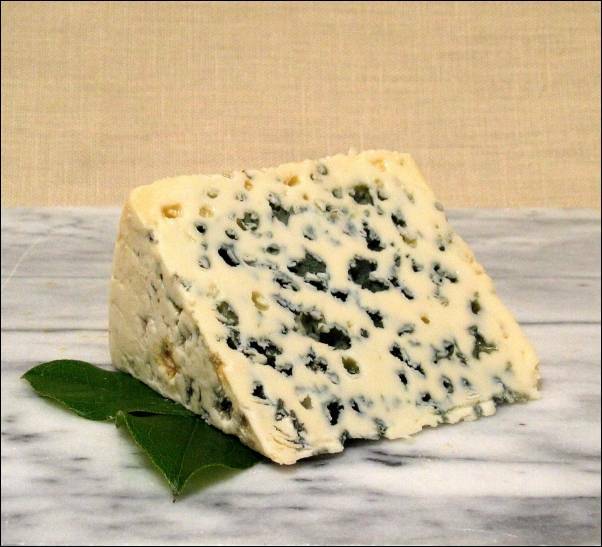 Three months in, the color is most evident, and then as the cheese ages, some of the green mold flakes start to disappear. For my tasting I had to choose between a Roquefort Carles and a Roquefort Societé Bée, and I went with the former because it seemed a bit less dry, more sloppy, and, for better or worse, a dollar more. I like the ammonia aftertaste that makes your eyes squint, but I have to admit that I think that I prefer my blues a bit less salty. The pungency is, however, down right glorious, and I think that armed with the right baguette (crackers don’t seem to carry the mold, perhaps), Roquerfort would be a good way to end a cheese platter, a place to work up to through some more mild or subtle options.